Heated Seats, Bluetooth, iPod/MP3 Input, ENGINE: 3.6L V6 24V VVT, COLD WEATHER PACKAGE, TRANSMISSION: 8-SPEED AUTOMATIC (850R... EPA 30 MPG Hwy/19 MPG City! Granite Pearl Coat exterior and Black interior, SXT trim. CLICK NOW!KEY FEATURES INCLUDEBack-Up Camera, Satellite Radio, iPod/MP3 Input, Bluetooth, Aluminum Wheels. MP3 Player, Keyless Entry, Remote Trunk Release, Steering Wheel Controls, Child Safety Locks.OPTION PACKAGESCOLD WEATHER PACKAGE Heated Front Seats, Exterior Mirrors w/Heating Element, Power Heated Mirrors w/Man F/Away, Heated Steering Wheel, ENGINE: 3.6L V6 24V VVT (STD), TRANSMISSION: 8-SPEED AUTOMATIC (850RE) (STD). Dodge SXT with Granite Pearl Coat exterior and Black interior features a V6 Cylinder Engine with 292 HP at 6350 RPM*.EXPERTS ARE SAYINGIt launches like a Saturn V rocket, makes glorious noises along the way, and has respectable handling prowess. Around town, the big Dodge is respectably maneuverable, and there's never a lack of power on long highway grades. -Edmunds.com. Great Gas Mileage: 30 MPG Hwy.MORE ABOUT USBaxter Chrysler Dodge Jeep Ram La Vista, a full-service car dealership in La Vista, is your source for new cars, trucks and SUVs both online and in our showroom. We also sell used vehicles and certified pre-owned vehicles. At our 7010 South 124th Circle location, we also provide Mopar parts and auto repair service. We're part of Baxter Auto, the largest dealer group in Nebraska.Horsepower calculations based on trim engine configuration. Fuel economy calculations based on original manufacturer data for trim engine configuration. Please confirm the accuracy of the included equipment by calling us prior to purchase. Third Row Seat, Rear Air, Back-Up Camera, Satellite Radio, ENGINE: 3.6L V6 24V VVT UPG I W/ESS, TRANSMISSION: 8-SPEED AUTOMATIC (850R... GT trim, DB Black Clear Coat exterior. FUEL EFFICIENT 25 MPG Hwy/18 MPG City! AND MORE!KEY FEATURES INCLUDEThird Row Seat, All Wheel Drive, Rear Air, Back-Up Camera, Satellite Radio. 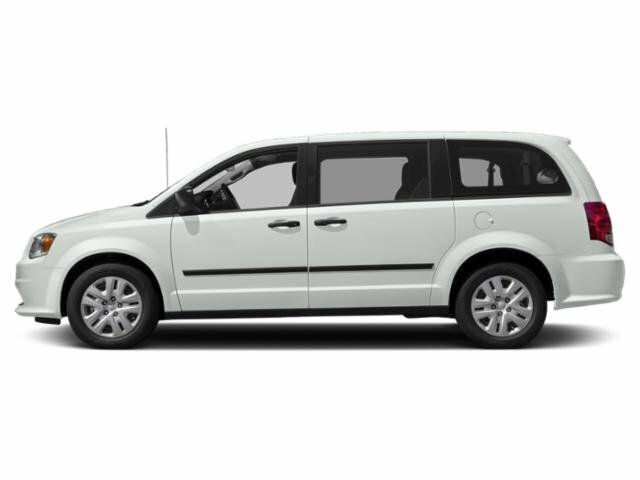 Rear Spoiler, MP3 Player, Remote Trunk Release, Keyless Entry, Privacy Glass.OPTION PACKAGES2ND ROW FOLD/TUMBLE CAPTAIN CHAIRS 6 Passenger Seating, 2nd Row Mini Console w/Cupholders, 2nd Row Seat Mounted Inboard Armrests, 3rd Row Floor Mat & Mini Console, ENGINE: 3.6L V6 24V VVT UPG I W/ESS (STD), TRANSMISSION: 8-SPEED AUTOMATIC (850RE) (STD).EXPERTS CONCLUDEGreat Gas Mileage: 25 MPG Hwy.OUR OFFERINGSBaxter Chrysler Dodge Jeep Ram West Dodge, a full-service car dealership in Omaha, is your source for new cars, trucks and SUVs both online and in our showroom. We also sell used vehicles and certified pre-owned vehicles. At our 17950 Burt Street location, we also provide Mopar parts and auto repair service. We're part of Baxter Auto, the largest dealer group in Nebraska.Fuel economy calculations based on original manufacturer data for trim engine configuration. Please confirm the accuracy of the included equipment by calling us prior to purchase. 3rd Row Seat, Back-Up Camera, Satellite Radio, Rear Air, ENGINE: 3.6L V6 24V VVT UPG I W/ESS, 2ND ROW FOLD/TUMBLE CAPTAIN CHAIRS, All Wheel Drive, Quad Seats. EPA 25 MPG Hwy/18 MPG City! Granite Clear Coat exterior, GT trim AND MORE!KEY FEATURES INCLUDEThird Row Seat, All Wheel Drive, Rear Air, Back-Up Camera, Satellite Radio. Rear Spoiler, MP3 Player, Remote Trunk Release, Keyless Entry, Privacy Glass.OPTION PACKAGES2ND ROW FOLD/TUMBLE CAPTAIN CHAIRS 6 Passenger Seating, 2nd Row Mini Console w/Cupholders, 2nd Row Seat Mounted Inboard Armrests, 3rd Row Floor Mat & Mini Console, ENGINE: 3.6L V6 24V VVT UPG I W/ESS (STD), TRANSMISSION: 8-SPEED AUTOMATIC (850RE) (STD).EXPERTS REPORTGreat Gas Mileage: 25 MPG Hwy.MORE ABOUT USBaxter Chrysler Dodge Jeep Ram West Dodge, a full-service car dealership in Omaha, is your source for new cars, trucks and SUVs both online and in our showroom. We also sell used vehicles and certified pre-owned vehicles. At our 17950 Burt Street location, we also provide Mopar parts and auto repair service. We're part of Baxter Auto, the largest dealer group in Nebraska.Fuel economy calculations based on original manufacturer data for trim engine configuration. Please confirm the accuracy of the included equipment by calling us prior to purchase. Moonroof, Third Row Seat, Heated Seats, Rear Air, Back-Up Camera, Onboard Communications System, iPod/MP3 Input, All Wheel Drive, 3RD ROW SEATING GROUP, Captains Chairs. SXT Plus trim, In exterior. EPA 25 MPG Hwy/18 MPG City! READ MORE!KEY FEATURES INCLUDEAll Wheel Drive, Rear Air, Back-Up Camera, iPod/MP3 Input, Onboard Communications System Rear Spoiler, MP3 Player, Keyless Entry, Privacy Glass, Steering Wheel Controls.OPTION PACKAGESQUICK ORDER PACKAGE 2BB SXT PLUS Engine: 3.6L V6 24V VVT UPG I w/ESS, Transmission: 8-Speed Automatic (850RE), Comfort Seating Group, ParkSense Rear Park Assist w/Stop, Power 4-Way Driver Lumbar Adjust, Integrated Roof Rail Crossbars, Bright Side Roof Rails, Power 8-Way Driver/Manual Passenger Seat, For More Info, Call 800-643-2112, No Satellite Coverage HI/AK/PR/VI/GU, 1-Year SiriusXM Radio Service, POPULAR EQUIPMENT GROUP Heated Front Seats, Power Liftgate, Heated Steering Wheel, POWER SUNROOF, 2ND ROW FOLD/TUMBLE CAPTAIN CHAIRS 6 Passenger Seating, 2nd Row Mini Console w/Cupholders, 2nd Row Seat Mounted Inboard Armrests, 3rd Row Floor Mat & Mini Console, 3RD ROW SEATING GROUP 3rd Row Seat, 3rd Row Remote Headrest Dumping, 7 Passenger Seating, 2nd Row 60/40 Fold & Tumble Seat, TRANSMISSION: 8-SPEED AUTOMATIC (850RE) (STD), ENGINE: 3.6L V6 24V VVT UPG I W/ESS (STD).EXPERTS RAVEGreat Gas Mileage: 25 MPG Hwy.VISIT US TODAYBaxter Chrysler Dodge Jeep Ram West Dodge, a full-service car dealership in Omaha, is your source for new cars, trucks and SUVs both online and in our showroom. We also sell used vehicles and certified pre-owned vehicles. At our 17950 Burt Street location, we also provide Mopar parts and auto repair service. We're part of Baxter Auto, the largest dealer group in Nebraska.Fuel economy calculations based on original manufacturer data for trim engine configuration. Please confirm the accuracy of the included equipment by calling us prior to purchase. Third Row Seat, Rear Air, Back-Up Camera, Satellite Radio, ENGINE: 3.6L V6 24V VVT UPG I W/ESS, 2ND ROW FOLD/TUMBLE CAPTAIN CHAIRS, All Wheel Drive. GT trim, White Knuckle Clear Coat exterior. EPA 25 MPG Hwy/18 MPG City! CLICK ME!KEY FEATURES INCLUDEThird Row Seat, All Wheel Drive, Rear Air, Back-Up Camera, Satellite Radio Rear Spoiler, MP3 Player, Keyless Entry, Remote Trunk Release, Privacy Glass.OPTION PACKAGES2ND ROW FOLD/TUMBLE CAPTAIN CHAIRS 6 Passenger Seating, 2nd Row Mini Console w/Cupholders, 2nd Row Seat Mounted Inboard Armrests, 3rd Row Floor Mat & Mini Console, BLIND SPOT & CROSS PATH DETECTION, TRANSMISSION: 8-SPEED AUTOMATIC (850RE) (STD), ENGINE: 3.6L V6 24V VVT UPG I W/ESS (STD).EXPERTS REPORTIt's a pleasant place inside the 2019 Durango, with an air about it that seems higher in quality than most rivals. -KBB.com. Great Gas Mileage: 25 MPG Hwy.MORE ABOUT USBaxter Chrysler Dodge Jeep Ram La Vista, a full-service car dealership in La Vista, is your source for new cars, trucks and SUVs both online and in our showroom. We also sell used vehicles and certified pre-owned vehicles. At our 7010 South 124th Circle location, we also provide Mopar parts and auto repair service. We're part of Baxter Auto, the largest dealer group in Nebraska.Fuel economy calculations based on original manufacturer data for trim engine configuration. Please confirm the accuracy of the included equipment by calling us prior to purchase. Bluetooth, Keyless Start, Dual Zone A/C, SIRIUSXM SATELLITE RADIO, ENGINE: 3.6L V6 24V VVT, TRANSMISSION: 8-SPEED AUTOMATIC (850R... Alloy Wheels, Back-Up Camera, iPod/MP3 Input, All Wheel Drive. SXT trim, White Knuckle Clear Coat exterior. Warranty 5 yrs/60k Miles - Drivetrain Warranty;KEY FEATURES INCLUDEAll Wheel Drive, Back-Up Camera, iPod/MP3 Input, Bluetooth, Aluminum Wheels, Keyless Start, Dual Zone A/C. Rear Spoiler, MP3 Player, Keyless Entry, Steering Wheel Controls, Electronic Stability Control.OPTION PACKAGESSIRIUSXM SATELLITE RADIO For More Info, Call 800-643-2112, 1-Yr SiriusXM Radio Service, TRANSMISSION: 8-SPEED AUTOMATIC (850RE) (MAKE) (STD), ENGINE: 3.6L V6 24V VVT (STD).Please confirm the accuracy of the included equipment by calling us prior to purchase. Heated Seats, iPod/MP3 Input, Remote Engine Start, Dual Zone A/C, TRANSMISSION: 8-SPEED AUTOMATIC (850R... PLUS PACKAGE, DRIVER CONVENIENCE GROUP, ENGINE: 3.6L V6 24V VVT, Back-Up Camera, All Wheel Drive, Alloy Wheels. GT trim, Granite Pearl Coat exterior. Warranty 5 yrs/60k Miles - Drivetrain Warranty;KEY FEATURES INCLUDEAll Wheel Drive, Back-Up Camera, iPod/MP3 Input, Aluminum Wheels, Remote Engine Start, Dual Zone A/C Rear Spoiler, MP3 Player, Keyless Entry, Steering Wheel Controls, Electronic Stability Control.OPTION PACKAGESPLUS PACKAGE 4G LTE Wi-Fi Hot Spot, 1-YR SiriusXM Guardian Trial, Radio: Uconnect 4C w/8.4 Display, HD Radio, Shark Fin Antenna, 276 Watt Amplifier, Heated Steering Wheel, Dodge Performance Pages, SiriusXM Satellite Radio, For More Info, Call 800-643-2112, 1-Yr SiriusXM Radio Service, Bright Pedals, 6 Premium Alpine Speakers, Power Tilt/Telescope Steering Column, Heated Front Seats, Door Trim Panel w/Ambient Lighting, 8.4 Touchscreen Display, DRIVER CONVENIENCE GROUP Blind Spot & Cross Path Detection, Power Multi-Function Foldaway Mirrors, High Intensity Discharge Headlamps, ENGINE: 3.6L V6 24V VVT (STD), TRANSMISSION: 8-SPEED AUTOMATIC (850RE) (MAKE) (STD).Please confirm the accuracy of the included equipment by calling us prior to purchase.